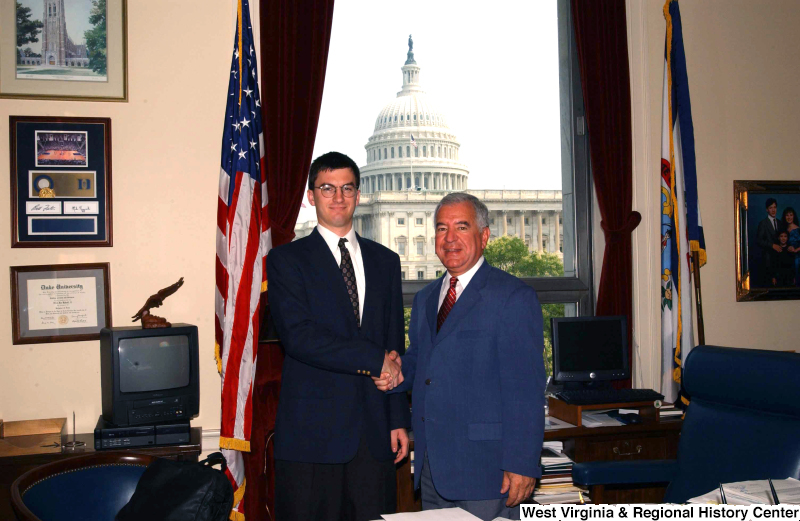 Congressman Rahall in his Washington office shakes hands with a man in a dark blue suit. 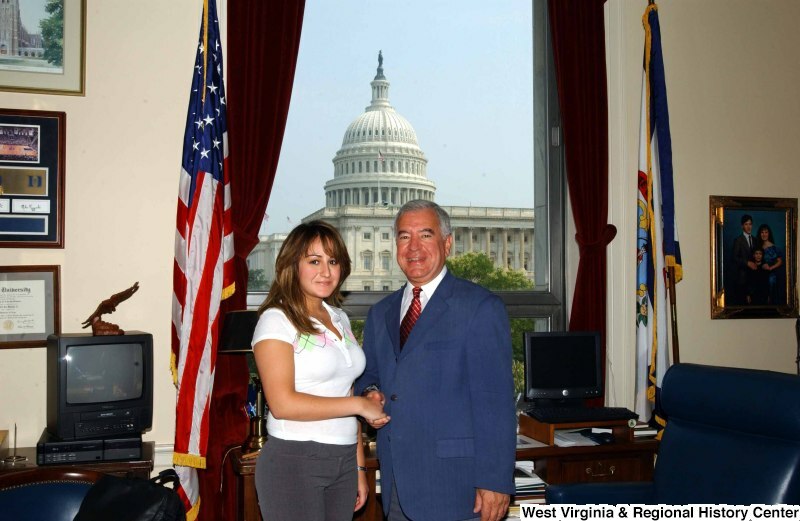 Congressman Rahall stands in his Washington office with a woman wearing a white, green, and pink shirt. 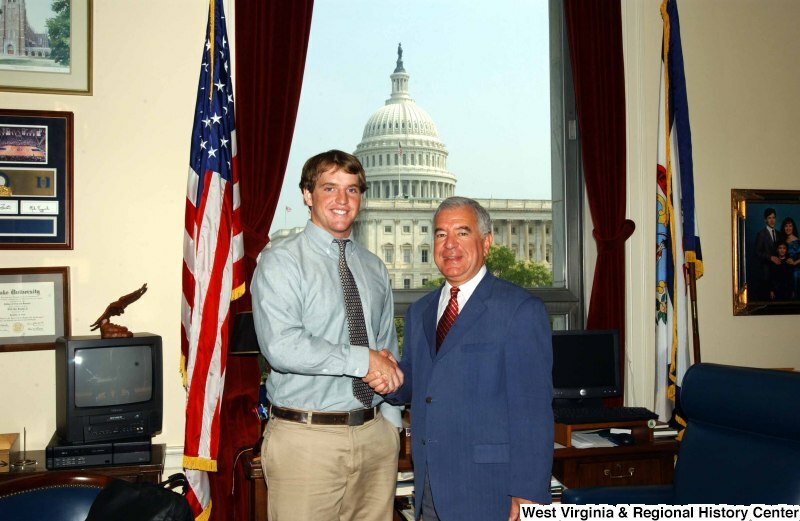 Congressman Rahall stands in his Washington office with a man wearing a blue-tinged shirt and khaki pants. 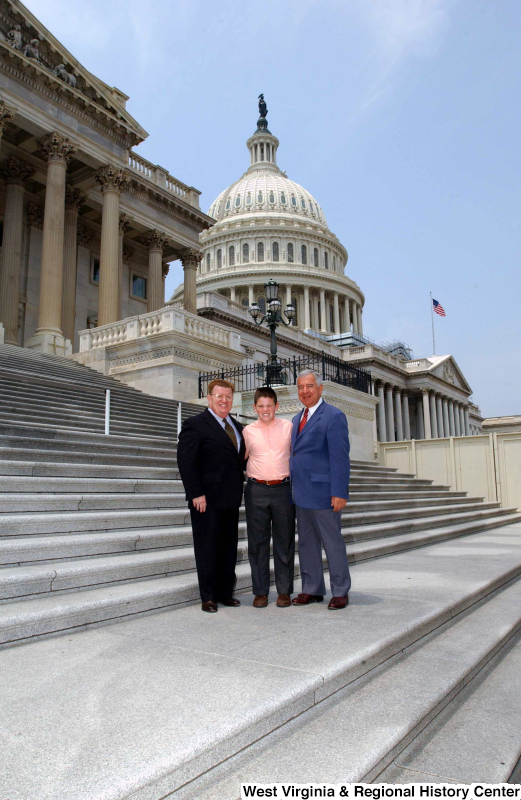 Congressman Rahall stands on the steps of the Capitol Building with a man and boy.